As the season of RuPaul’s Drag Race has wound down (congratulations Sasha Velour!, we now will start to see some of these talented ladies hit the recording studio, and release their own music, to varying levels of success. One of the women I can be sure will see great success is Top Four finalist Peppermint, who released her own EP Black Pepper the day the Season Nine finale aired. While Peppermint has already had chart topping success with tracks like “Thought Ya Knew” and “Servin It Up,” this accomplished songstress is a brand new Peppermint based on the material on this package. Black Pepper shows growth both vocally, and in terms of material, with Pep’s rich vocals telling the socially conscious story of a trans woman’s journey on the haunting “Civil War,” then giving us vintage slick rapping skills on “Black Pepper.” One of the most unique tracks on the package is a remake of George Michael’s classic “Too Funky,” along with chart topping singer Ari Gold. The video for this track is one of Michael’s more cheekily risqué, having Peppermint, and Gold team up on this one is the perfect tribute to George Michael. Tracks like “Don’t Stop Me Now,” and “Zombie” are creatively daring, yet stay true to Peppermint’s sound. 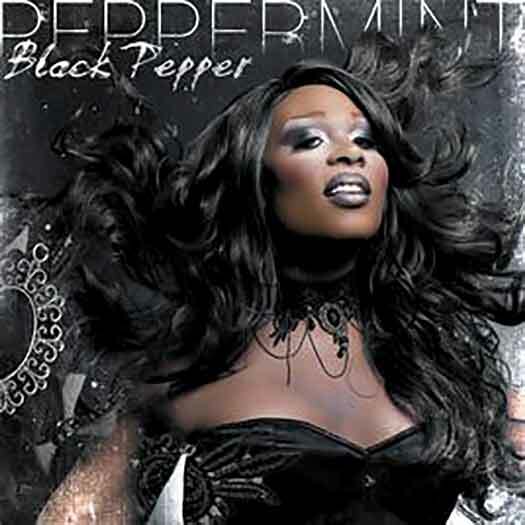 While the ladies of Drag Race have had mixed success on the charts, Peppermint’s “Black Pepper” is going to keep this talented gal on our minds, and in our ears for quite some time. 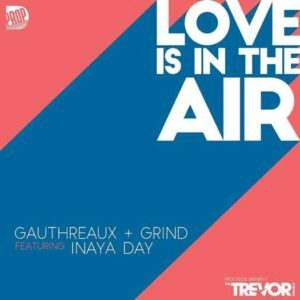 There is nothing better than a remake of a classic, courtesy of Joe Gauthreaux, DJ GRIND and the incomparable Inaya Day. Turning out a luscious remake of John Paul Young’s 70’s classic “Love Is in The Air” is exactly what the community could use, especially after just celebrating one of our most meaningful Pride months in recent memory. Crafting this classic as a high-energy dance anthem presented challenges, but in the hands of Gauthreaux & GRIND, it’s a smashing success. Inaya Day putting her signature soaring vocals on this one makes it immediate dance floor hit, especially with the absolutely epic hands in the air chorus. What makes this track even more meaningful is the fact that 100% of the proceeds are being donated to The Trevor Project, which offers lifesaving crisis intervention, and suicide prevention services for LGBTQ youth. Hit up iTunes and grab a copy to donate to a truly worthy cause, and get some fantastic music on top of it! In terms of dance music legends, there is only one Deborah Cox. Between giving us some of our biggest moments on the dance floor, and then portraying the Whitney Houston role in the Broadway production of The Bodyguar” (and singing some of Whitney’s classic tracks,” Ms. Cox has secured her spot in the hearts of gay men everywhere. 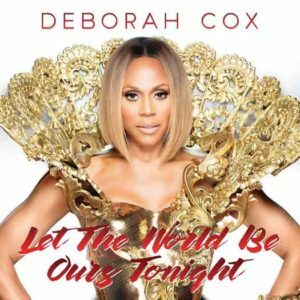 Her latest single “Let The World Be Ours Tonight” is produced by UK hit makers, Soulshaker, and is vintage Cox. They craft the track around Cox’s signature earth shattering vocals, making it the perfect summer anthem. The remix package is very strong, with mixes coming from Stonebridge, and Damian Hall providing a classic remix, while Soulshaker themselves make the track sound super soulful and mysterious, but keeping the chorus high energy at the same time. One of the biggest treats on the remix package is the “JKGD BiB Extended Mix” which borrows heavily from Cox’s classic “Nobody’s Supposed To Be Here,” remixed by the legendary Hex Hector. It’s a nod to the past, yet just different enough to turn make “Let The World Be Ours Tonight,” another sure to be classic from this hit making dance music figure. There are three things that I think we all can agree we could use more of nowadays; peace, love, and music. 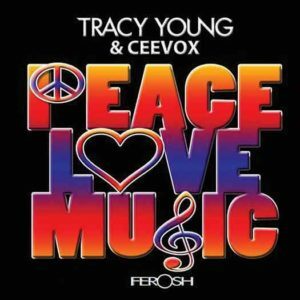 It is those three things that turntable mistress Tracy Young, and captivating vocalist Ceevox have collaborated on, with the appropriately titled “Peace Love & Music.” It’s the exact kind of track we have come to expect, and love from Tracy Young, with pulsing beats, and epic vocals provided by Ceevox. The remix package only elevates the track to the next level with some of the biggest names in dance music providing their own take on the track. Young’s original keeps the classic vibe of the track, focusing on putting Ceevox’s soaring vocals front and center. The “Barry Harris Club Mix” adds some fantastic drops at just the right spots to add to the drama of the track, then brings you right back to the best parts of the track. The “Eric Kupper Remix” has a 90’s flair to it, with an overwhelmingly smooth vibe, while the “Tom Stephan Mix” adds a slamming base to the track, making this mix the perfect late night addition to your set. In terms of completely changing their sound in the best possible way, Lorde has cornered the market on that this summer. When “Green Light” premiered earlier this year, people were struck by the electronica-esque vibe that her sound had taken, with a slight tinge of Alanis Morissette, in terms of autobiographical content at least. “Green Light” contained a direct message to a former lover, and fans waited with anticipation to see if the upcoming album would have the same flavor. 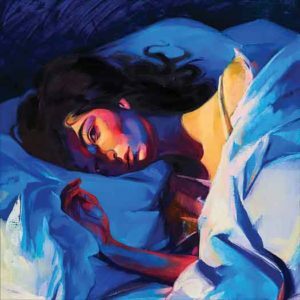 With the release of “Melodrama,” Lorde has taken her sound in a different direction, but has kept the brooding moodiness that so many people fell in love with. “Sober” is a horn heavy mid-tempo track while “The Louvre” is a haunting track laced with slick guitar licks. “Hard Feelings/Loveless” is one of the most honest, and direct on the album, while “Supercut” is one of the most dance heavy, goodbye to a love you will have heard in quite some time. Not since the aforementioned Ms. Morisette’s “Jagged Little Pill” has heartbreak had such a dance ready payoff.